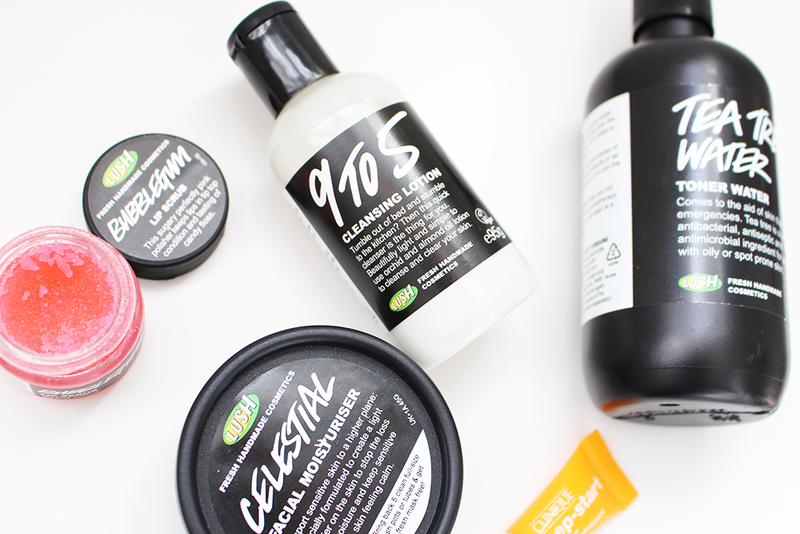 Recently I decided that I would stop using all my current skincare routine products and opt for all products Lush - it was the best decision made. I've been using this new routine for 2 months now and I can already notice my skin looking and feeling better. 9 To 5 Cleansing Lotion; So I started with a cleanser, something gentle on the skin, and which didn't have too much fragrance. This cleanser has calmed my skin due to it's main ingredients being almond oil and dove orchids. I simply use this remove the remains of my makeup from my face. Tea Tree Water; Without doubt the best toner I have used. My skin feels so refreshed after I have spritzed some of this over my face and it the tea tree has antibacterial properties in it, which is great for keeping spots at bay. I purchased this last year and once it was empty I went ahead and purchased the bigger size as it is there to stay in my routine. Celestial Facial Moisturiser; I do have combination skin but it can be more dry in areas and the only oily area is the typical T-zone. This moisturiser also has the same ingredients as the cleanser so they go well together. This does create a barrier on the skin which allows the skin to lock in its moisture to stop any dryness. This is my second pot of this and again it wont be my last. Bubblegum Lip Scrub; This is incredibly addictive, before my make up I apply this to my lips with my finger and let all that bubblegum goodness scrub away any dead skin which also ensures that any lip products I apply stay put and apply easily. 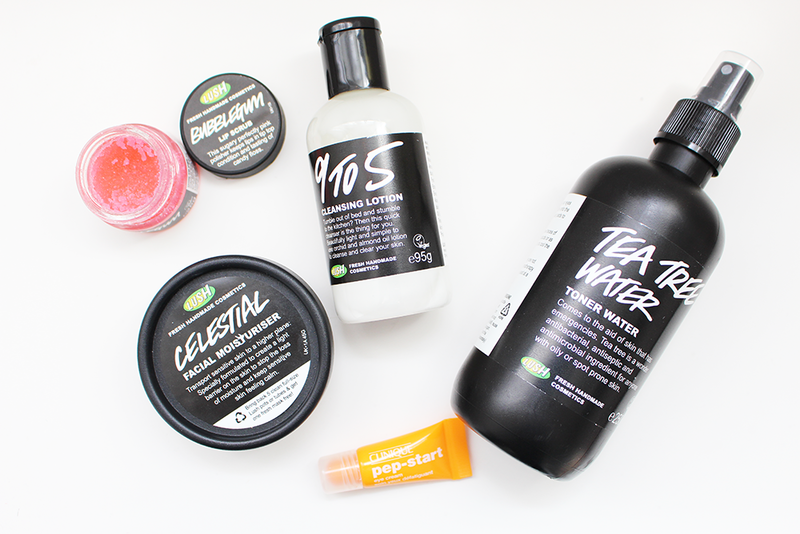 Have you tried any of the skincare from Lush? What are your recommendations? I just started using Lush products and so far I love everything! !